Only qualified plumbers with backflow training and endorsement can test your backflow prevention valves. 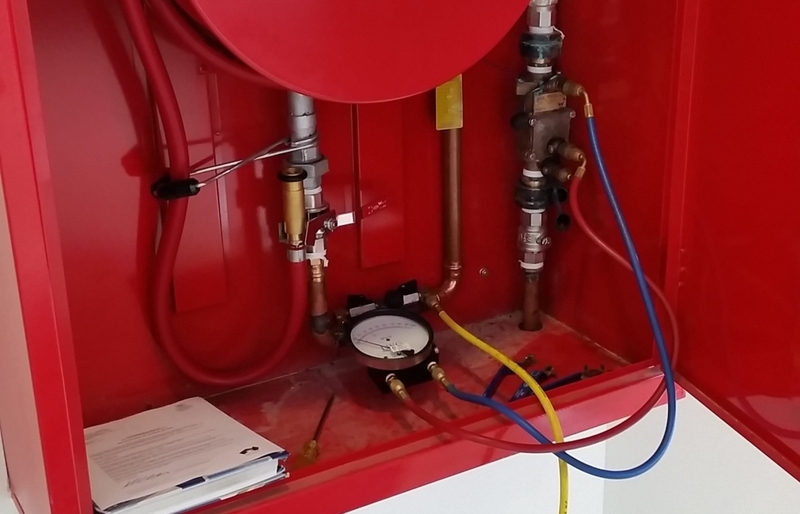 In South Australia, the Technical Regulator keeps a register of backflow prevention devices which must be tested and reported annually by a backflow endorsed, qualified plumber. The test results must be sent to the Office of the Technical Regulator within two weeks of the due test date. Performing an annual test on a backflow prevention device in Adelaide’s northern suburbs. You can see the encumbrance notice from the Technical Regulator in the bottom left. Backflow prevention devices are intended to protect the water supply from accidental contamination with hazardous chemicals and substances. All contaminants such as herbicides, pesticides, waste products, toxic chemicals, and potentially infectious biological substances must be prevented from entering both private and public water supplies to ensure the continued safety of water used for human consumption. The National Plumbing Code defines backflow as the unintended flow of water from a potentially polluted source into the potable water supply. It further defines a backflow condition as being any arrangement whereby backflow may occur. Backflow prevention devices are required wherever a backflow condition exists. This includes residential properties with subsurface irrigation but backflow conditions are usually only found at commercial and industrial properties. If your property has; a chemical dosing mechanism attached to the water service, fire hose reels, or ablution facilities having a bath and hose, then your water service requires a testable device to be installed and maintained. Call Josh’s Gas & Plumbing to book a backflow test, or to install a new backflow prevention device.